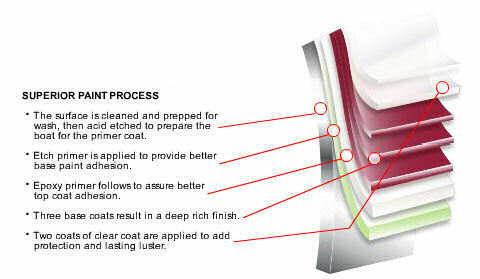 Achieving a luster and look that lasts requires careful attention to detail! Alumaweld goes the extra mile using its eight step paint process that results in a finish that's deep and durable. 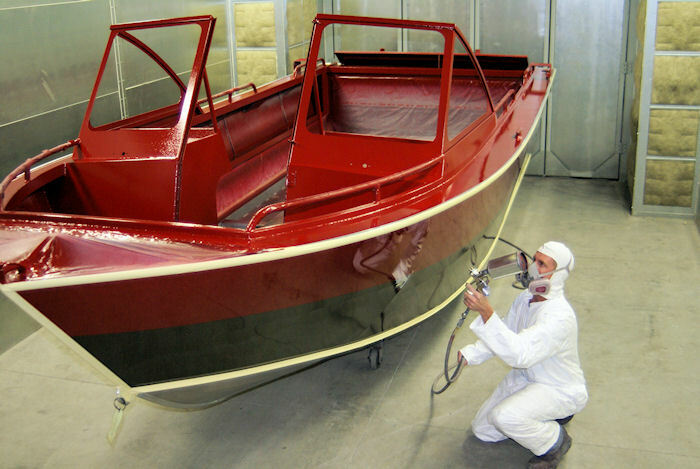 Alumaweld's paint facility delivers a lustrous deep finish that adds a striking flare and look to every boat. Using only the finest paints, equipment, and processes provides some of the best paint jobs in the industry.